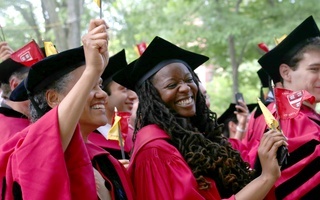 Students in the Graduate School of Arts and Sciences at Commencement in 2016. UPDATED: November 14, 2017 at 2:42 p.m.
Taxes for Harvard graduate students could increase almost four-fold under a Republican tax plan presented in the U.S. House of Representatives earlier this month, according to a tax law expert. The recently-proposed House tax reform bill repeals the tax-exempt status of the “qualified tuition reduction”—tuition lowered by a university for its employees and paid graduate students. 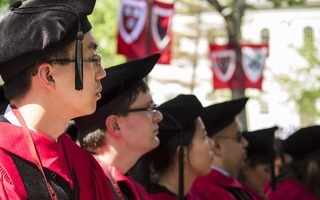 Harvard currently provides full tuition support to all Ph.D. students and some Master’s students, giving roughly $45,000 per year to each student, though that amount decreases to roughly $12,000 after the first two years of a Ph.D program. Depending on how the House proposal is interpreted, these tuition grants could be counted along with graduate students’ stipends as taxable income, a change which would push students into a higher tax bracket. 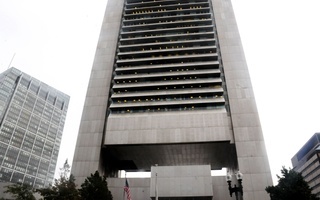 Patrick W. Thomas, a law professor at the University of Notre Dame, wrote in an email that Harvard graduate students earning a typical stipend of roughly $35,000 could see their federal income taxes increase almost four-fold—from around $3,300 to $12,000 per year under the proposed plan. “In general, the effects at Harvard, as well as other private institutions, will be more harmful to graduate students than at public universities, to the extent that Harvard and its peers charge higher tuition than other institutions,” Thomas wrote in an email. 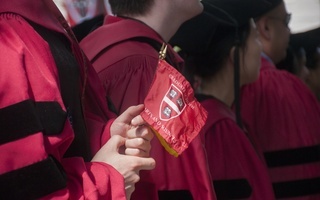 According to Thomas, when including Massachusetts state taxes, Harvard’s Ph.D. students would owe almost half of their annual stipend in taxes. Thomas noted, however, that it is still unclear whether all types of tuition support from universities would be affected. The House bill specifically does not revoke the non-tax status of “qualified scholarships,” or tuition aid for any degree-seeking student. In an email to graduate students last Thursday, Graduate School of Arts and Sciences Interim Dean Emma Dench wrote the University is still studying the House proposal and “carefully watching” developments in Congress. “We, too, are trying to understand the implications of this proposal, and we share your concern about the potential impact it could have on you as graduate students,” Dench wrote in the email. Dench’s remarks follow statements made by graduate school administrators at other universities on the GOP bill. Earlier last week, Yale’s GSAS Dean Lynn Cooley emailed students expressing her opposition to the tax plan, but did not confirm how Yale students would be impacted, according to the Yale Daily News. In contrast, according to the Cornell Daily Sun, Cornell’s Vice Provost and Graduate School Dean Barbara Knuth wrote that Cornell considers its tuition aid to graduate students as a qualified scholarship, and it would remain untaxed by the House plan. Austin Garner, a graduate student in biology, said the financial burden of taxing graduate students’ tuition grants could discourage them from less-lucrative careers outside the private sector, such as government or academia, after graduation. “The proposal will have a significant impact on the United States’ ability to contribute to global science efforts,” Garner said. In response to the House bill, graduate students from the Harvard Graduate Students Union- United Auto Workers and the GSAS Action Coalition organized phone banks last Friday to lobby legislators to oppose the House plan. “It’s a little scary that even the University doesn’t know how this would impact us,” said Jack M. Nicoludis, a graduate student in chemistry and organizer with HGSU-UAW. Participants made as many as 200 phone calls to legislators, according to a Facebook post from the unionization effort. The Senate’s proposal, released last Thursday, does not repeal the tuition reduction exemption. A vote on the House’s bill is anticipated in the coming weeks. —Staff writer Phelan Yu can be reached at phelan.yu@thecrimson.com. Follow him on Twitter @phelanyu. 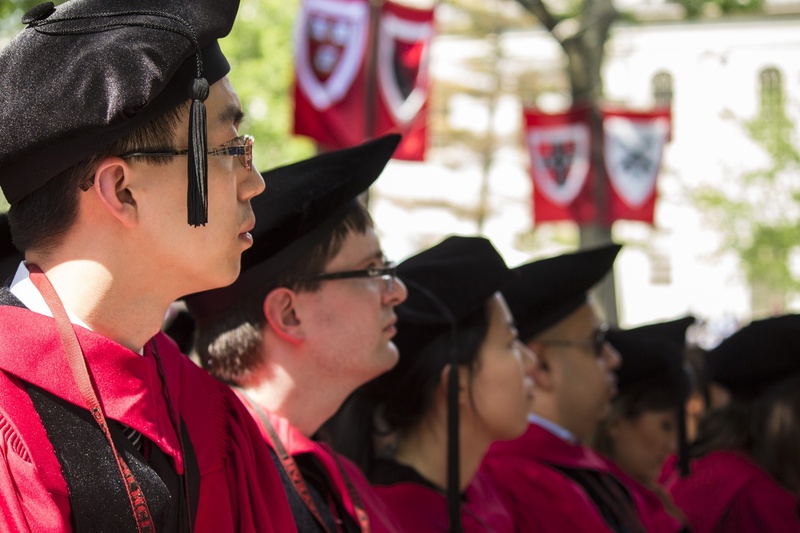 A previous version of this story incorrectly indicated the tuition for Harvard Ph.D students. It is roughly $45,000 for the first two years, and roughly $12,000 in subsequent years, not $49,000 every year.